Sideshow Collectibles at NYCC 2018: New X-23, Spider-Man, Magneto and LIFE-SIZED Venom – AiPT! Who’s drooling more, you or Venom? 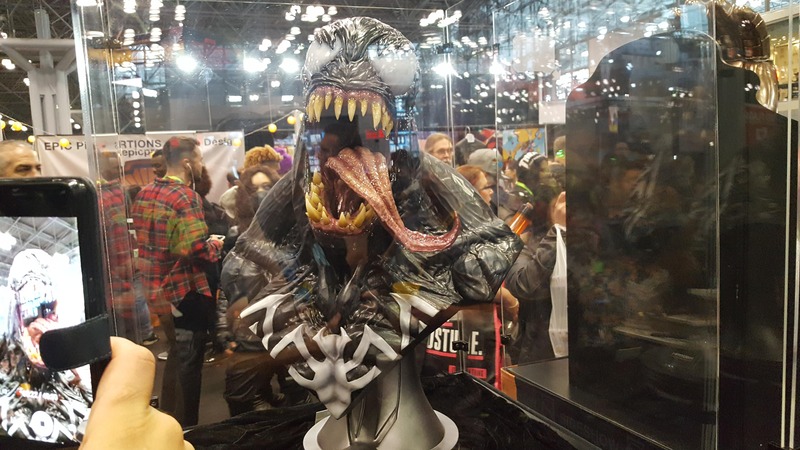 Yes, a LIFE-SIZED Venom bust. Still needs approval, no price or release date yet, but just LOOK at it. And the one you’ve all been waiting for, up for pre-order now, X-23! Expected late summer 2019! How cool is this new Spider-Man, riding Doc Ock’s arms?! Neon Iron Man, available for under $400 at NYCC now — but otherwise, not for a little bit! And this giant Infinity Gauntlet slides in for just under $1,000. Unless you win it at NYCC this weekend! Ultimate luck, ultimate power! Check out the rest of Sideshow’s NYCC 2018 Marvel stuff in the gallery below!